General Vallely graduated from the US Military Academy at West Point and was commissioned in the Army in 1961 serving a distinguishing career of 32 years in the Army. He is a graduate of the Infantry School, Ranger and Airborne Schools, Jumpmaster School, the Command and General Staff School, The Industrial College of the Armed Forces and the Army War College. He retired in 1991 from the US Army as Deputy Commanding General, US Army, Pacific in Honolulu, Hawaii. His combat service in Vietnam included positions as infantry company commander, intelligence officer, operations officer, military advisor and aide-de-camp. He has over fifteen (15) years experience in Special Operations, Psychological and Civil-Military Operations. He served in many overseas theaters to include Europe and the Pacific Rim Countries as well as two combat tours in Vietnam. General Vallely also designed and developed the Host-Nation Support Program in the Pacific for DOD and the State Department. He has in-country security assistance – experience in Israel, Iraq, Kuwait, El Salvador, Columbia and Indonesia in the development of civil-military relations interfacing with senior level military and civilian leadership. General Vallely has been a military analyst on television and radio for over ten years. He was the senior military analyst for the Fox News Channel from 2000 -2007. 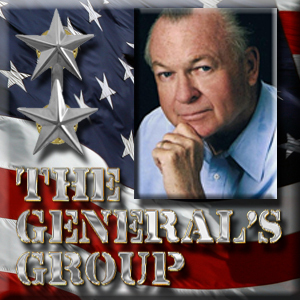 General Vallely conducts an average of 4-6 national radio show interviews per week and is well known for his published articles on a multitude of subjects and issues. He is also a guest lecturer on National Security, international political, economic issues, strategic planning matters and the Global War against Radical Islam and other threats to America. He and LTG Thomas McInerney authored the book, “Endgame” – Blueprint for Victory for Winning the War on Terror”, “Warfooting” and “Baghdad Ablaze”. He is a member and founder of the Iran Policy Committee.